Ground floor two-room connecting suite with beautiful mountain views - one room offers two queen sized Simmons Mattress beds; the connecting room is a little smaller and has one queen sized Simmons Mattress bed. Each room has a full bathroom. We have only one of these suites available. 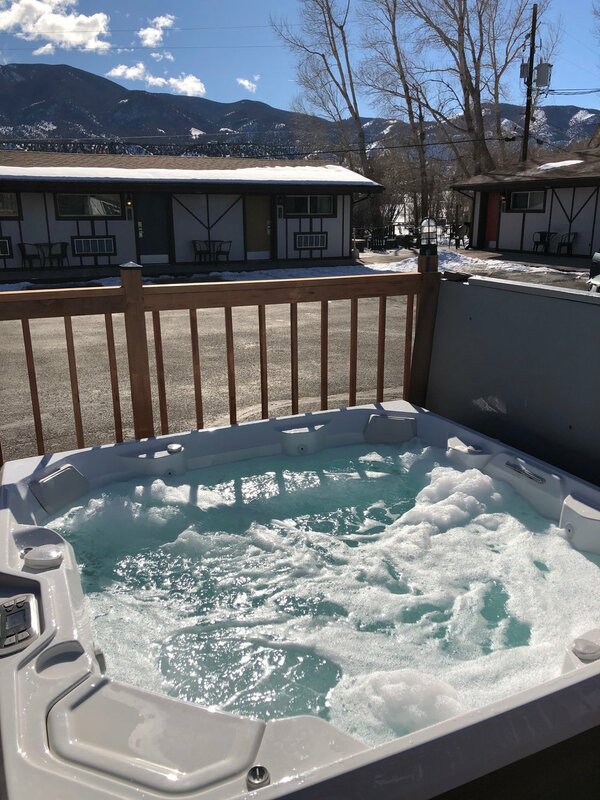 To reserve this suite, please contact us by clicking on the button below or by calling us at (719) 539-6689.